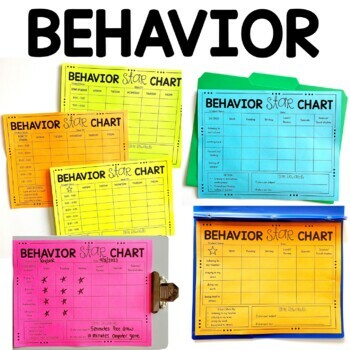 Specific targeted/ desired behavior charts. 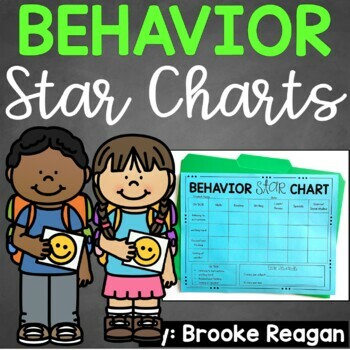 Theses charts are designed so students know exactly what they are working for and what positive behaviors they must show in order to gain stars. 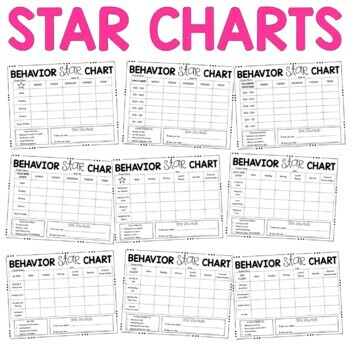 Students earn stars when they are engaging in desired or targeted behaviors that are listed on their charts. Students are working for star rewards as listed on the bottom of the chart. 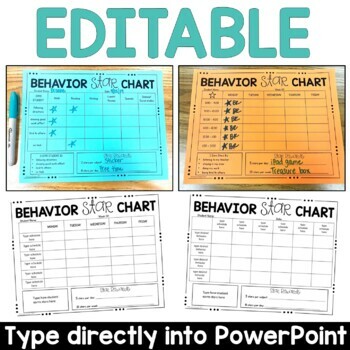 Print chart(s) of choice and put in a folder for each individual student. Teacher fills out the chart for each subject/ time slot or daily so student sees how many stars they earned. If student makes goal for the day or week they earn the reward they have been working for.